If you’re looking for more Star Wars, it might be time to gear up and hop back into that X-Wing — in 2020. Disney CEO Bob Iger has officially announced at the Goldman Sachs Communacopia conference that there will be a third film in the anthology series put into place by the corporation. 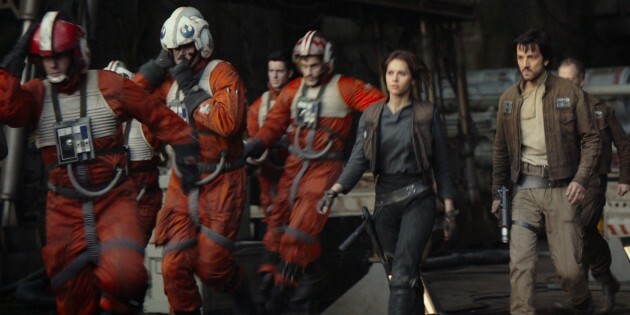 The first film in the series is obviously Rogue One: A Star Wars Story, which launches into theaters in December 2016. Phil Lord and Christopher Miller’s as yet untitled Han Solo film is set for a May 2018 release, and details has indeed been scarce on the upcoming project. But with the love and quality that seems to have gone into Rogue One, I’d say the franchise is in good hands well into the future. But, of course, we’ll have a final word on that when the movie hits theaters. Iger also said he did not expect Rogue One to be as successful as Star Wars: The Force Awakens at the box office. (The latter is the highest ever grossing film in the US, and third in the worldwide list.) However, he did say “the level of interest [in Rogue One] is as high as it was for Force Awakens”, and after viewing a rough cut, that “we love what we’ve seen”. While Iger focused a large chunk of his presentation on Marvel’s success and ambitious plans into the future, the CEO stated in reference to Star Wars, “we too are beginning to talk about what do we do in the next decade”. Okay, I say we start a stockholder vote that every time Bob Iger announces a new franchise sequel for Disney, HE has to first provide a five-page synopsis of what he thinks the movie will be about. No more just announcing titles and dates because they sound cool.